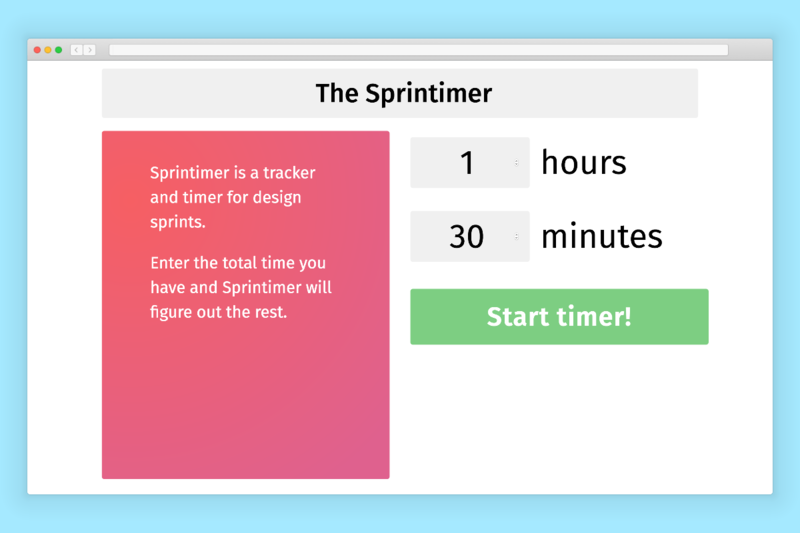 Sprinty is an online tool that helps students run design sprints. Design sprints are an exceptional way to collaboratively produce design outcomes in short bursts of time. Sprinters divide their time into fractions to spend on each stage of the design process. For example, given an hour, sprinters spend 10 minutes unpacking the problem, 10 minutes researching solutions, and so on. Direct observation and participation showed that students found it challenging to focus on producing design while simultaneously tracking and managing time and tasks on the sprint. 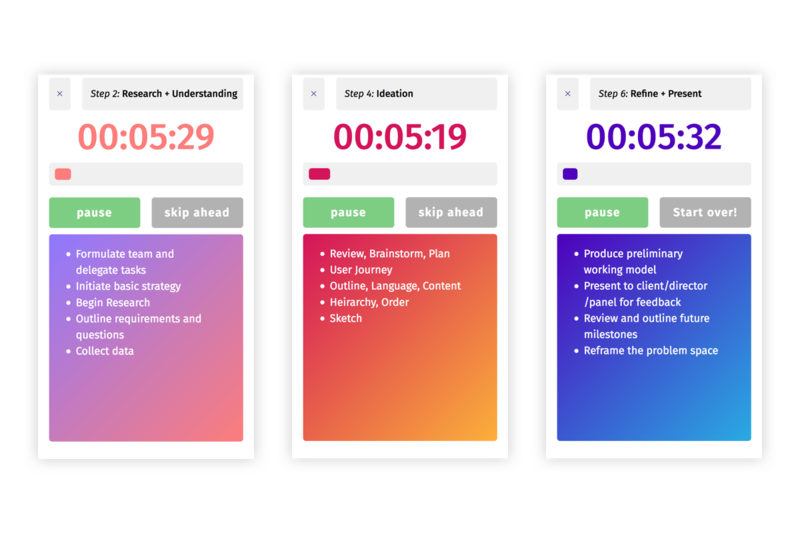 The solution: a webapp that guides the user through each stage of the sprint process. Each stage is timed proportionally to how long the user has to run the sprint. Sprinty is flexible and scales to any display. The interface is designed to be used in a rush. Research involved taking part in, and observing how people worked in sprints. Challenges included doing the math to make sure timers worked. Early prototypes were created before any styling.